To some people, forklift drivers may be characterized as individuals who dart around the floors of warehouses in little motorized trucks lifting, loading, and unloading skids/stacks of boxes or packaged material; in fact, in some cinematic representations, such activities are often shown at accelerated speeds in order to elicit laughs/smiles from the viewers. However, for those who have a more intimate knowledge of forklift jobs, the above may be viewed as an inappropriate depiction if not outright disrespectful to those who work in these roles. Forklift operating is not as simple as one might assume and does it should not be seen as a source of entertainment for forklift operators or their fellow employees working on that same warehouse floor, dock/pier, or loading platform. 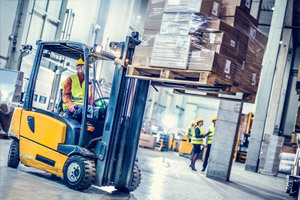 Forklift operators play important roles in a supply chain, typified by their responsibilities for the safe and effective movement/storage of goods as part of the shipping-distribution process. And this is why employers require skilled and capable forklift operators, in turn emphasizes the value of collaborating with a recruiter that offers extensive experience in finding such candidates. The significance of recruiting and hiring qualified drivers for forklift jobs simply cannot be overstated. But for many employers, this can be a painstaking and protracted task; one that can adversely affect productivity levels both on the jobsite/warehouse floor and in the offices of those charged with the responsibility of filling the positions. To avoid these situations, employers can find the support they need in the experienced forklift operator recruiters from Winters Technical Staffing in Toronto. Whenever recruiting is done internally, the investment of time and staffing resources can be considerable, and there are no guarantees that a suitable candidate will be identified. 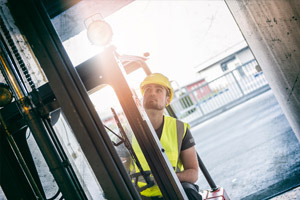 By capitalizing on the resources of a recruiter that has experience in a specific area, like hiring forklift drivers for example, employers can redirect the time and effort otherwise demanded from in-house staff while simultaneously improving their overall probability of filling the position. While Winters Technical Staffing looks after the above steps, internal staff can maintain their productivity levels and focus on other priorities/tasks relating to the daily operation of the business. For further information on the services provided by the recruiters from Winters Technical Staffing relative to forklift operator jobs. If you are looking for skilled forklift operators for your company, consider the benefits of collaborating with a recruiter backed by considerable experience and success in this field. Call Winters Technical Staffing today at 416-495-7422 or contact us to request your no-obligation consultation on how our specialists can help support your hiring needs.